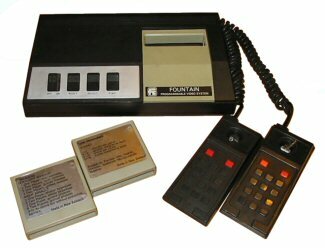 An interesting console released in Australia and New Zealand, this is a licensed version of the 1292 Advanced Programmable Video System made by Radofin in Europe in 1976. I've owned at least three of these over the years, my latest acquisition being a boxed version in excellent working condition with a number of boxed games cartridges. Due to the need to free up some space I've sadly had to sell on my other two Fountain Force 2 consoles.